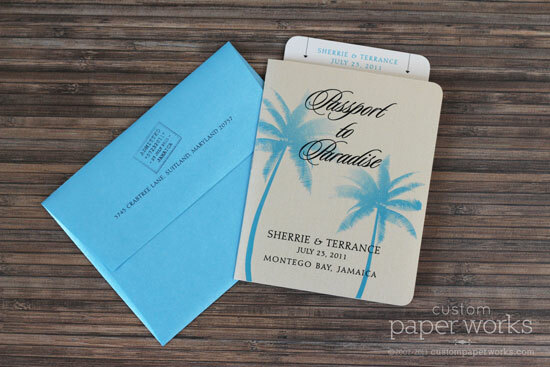 LOOKING FOR UNIQUE invitations for your destination wedding or travel-themed celebration? 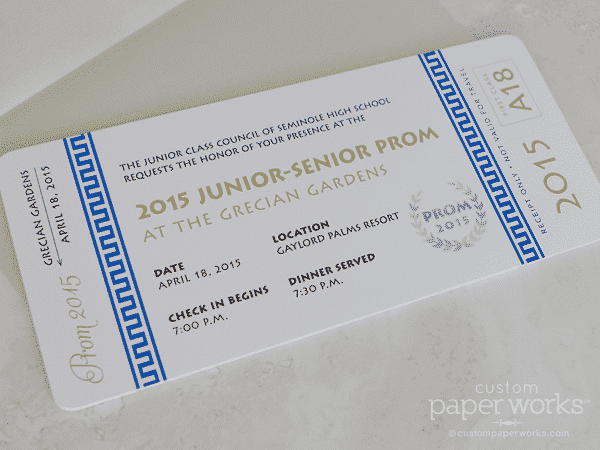 We incorporate details you love into our well-designed, professionally crafted invitations that your guests will remember for years to come. 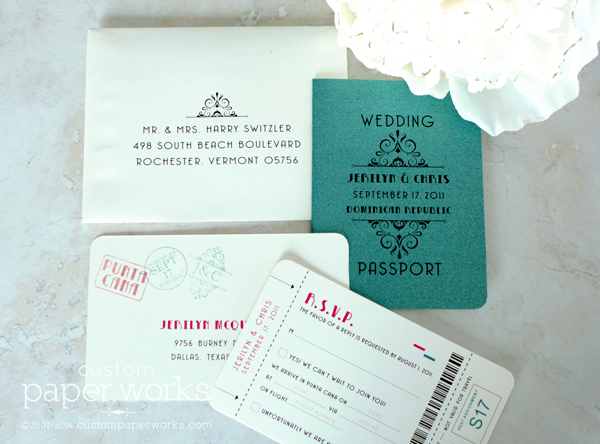 Our Luxe Passport Invitations can be designed to be classic & timeless, whimsical, or trendy. They are fully custom-designed for your celebration. 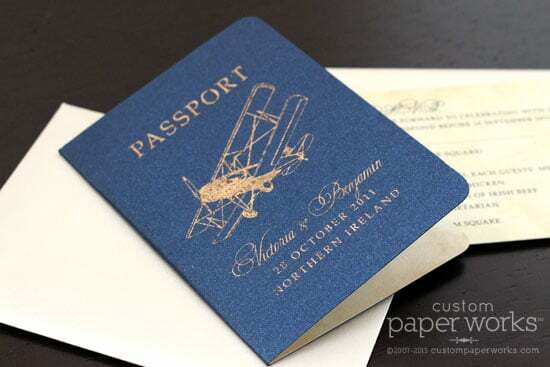 Great for travel-theme celebrations at any location. They can hold as much or as little extra information as you need. 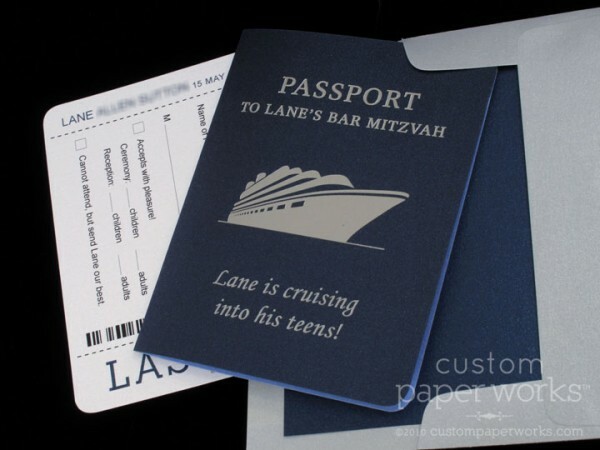 Passport and boarding pass invitations perfect for “around the world,” “world tour,” “cruising into teens,” and aviation themed mitzvah celebrations. 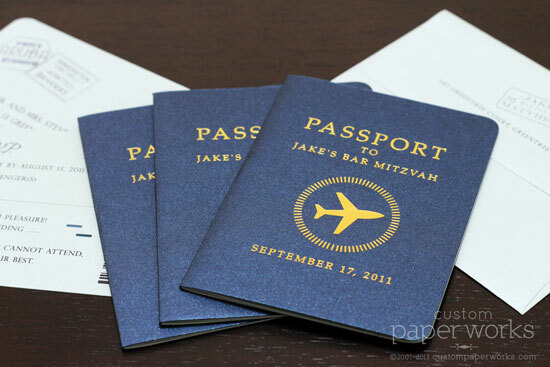 LOOKING FOR THE BEST invitations for your destination or travel-themed celebration? 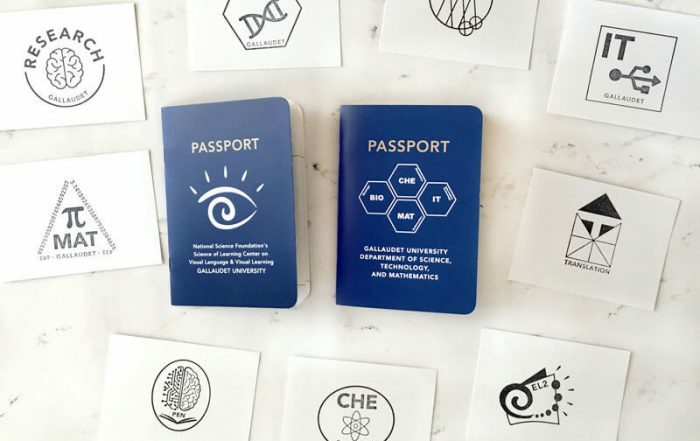 Something somewhat formal, but with a fun twist – and well-designed, carefully crafted and professionally made? You’re in the right place! 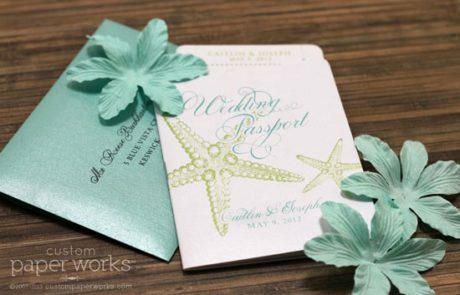 Our unique invitations & event-day stationery incorporate the details you love, resulting in designs that get your guests excited. 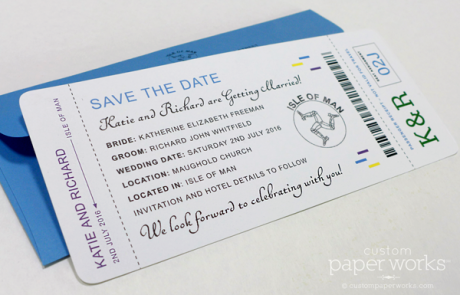 You will have a custom invitation that suits your style, and YOUR GUESTS WILL RAVE ABOUT THEM FOR YEARS TO COME. 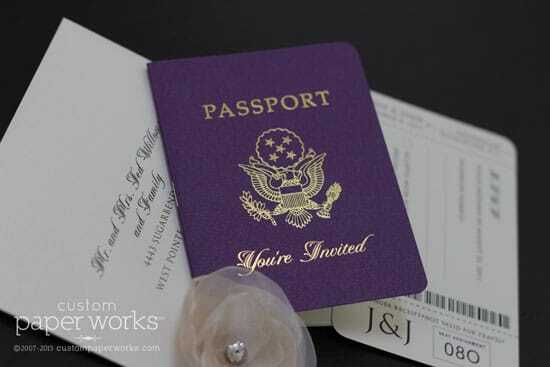 The Custom Paper Works Luxe Passport Invitation can be designed to be classic & timeless, whimsical, or trendy. They are fully custom-designed to order. 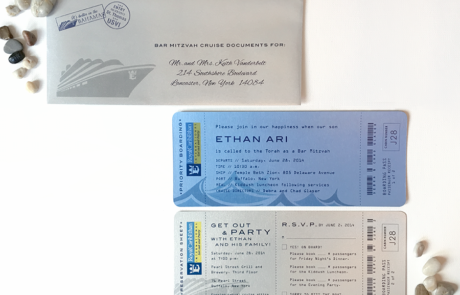 Boarding Pass Invitations are great for travel-theme celebrations at any location. They can hold as much or as little extra information as you need. 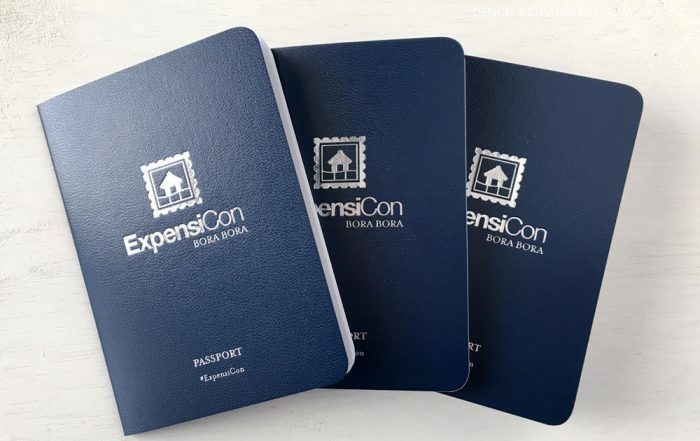 Our press-printed passport booklets are perfect for corporate events & meetings, tradeshow & conference passport raffle games, church programs, participation trackers and all sorts of school events. Fully custom-designed to represent your brand and event. 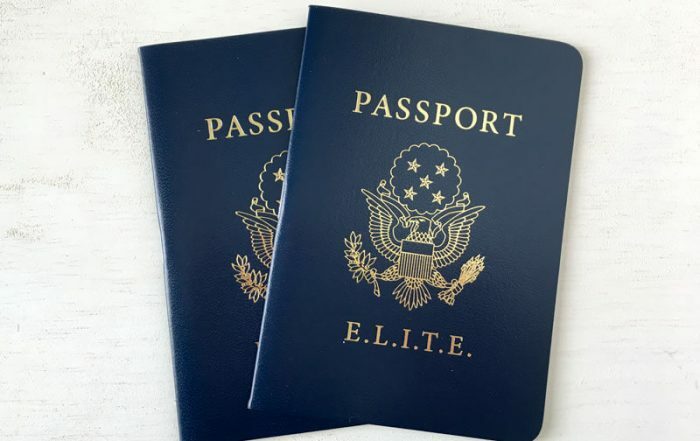 Our press-printed passport booklets are perfect for corporate events, tradeshow & conference passport raffle games, church programs, and participation trackers. Fully custom-designed for your brand and event. Send a note to request a quote!